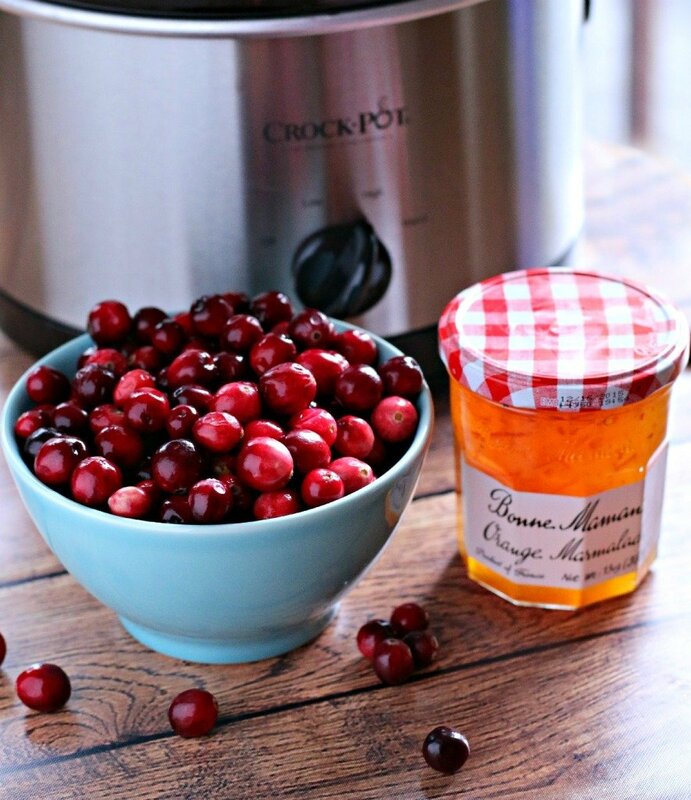 You won’t believe how easy this Slow Cooker Cranberry sauce is to make! It will be a new staple for your holiday meal. 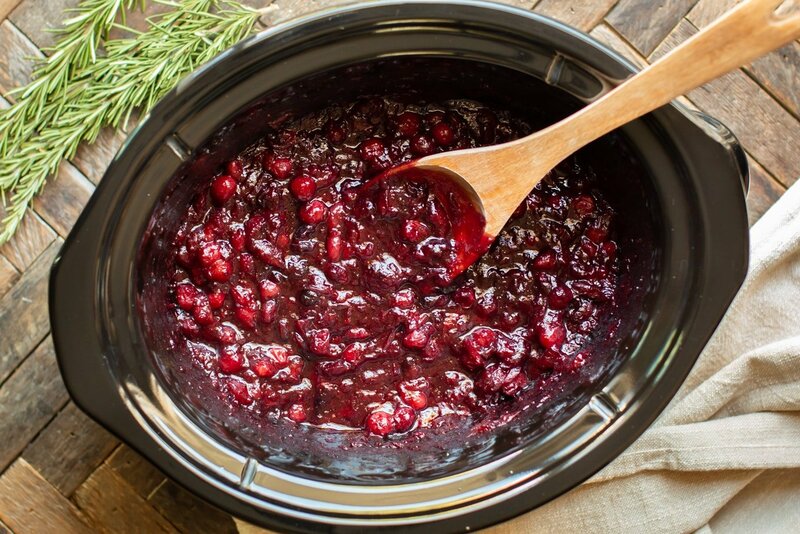 You can start this slow cooker cranberry sauce in just minutes in your slow cooker. 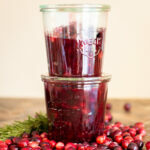 My mom loves homemade cranberry sauce, but she never has the time to make it. Years and years ago I made a stove-top version from Barefoot Contessa and my mom still talks about it today. She often gets the homemade style cranberry sauce from Costco for our holiday dinner. 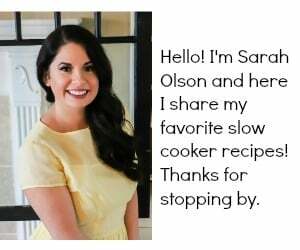 I created this easy slow cooker version that cooks all by itself, no babysitting from me. 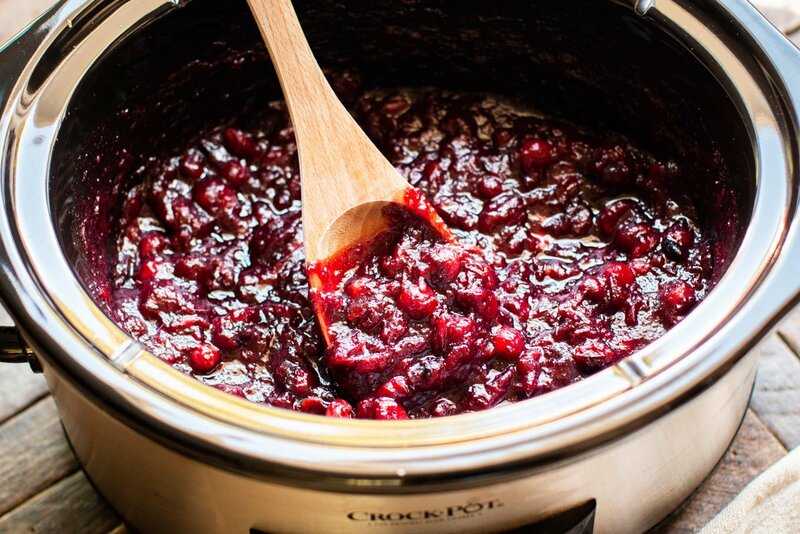 The recipe for this slow cooker cranberry sauce is just a few simple ingredients: 2 pounds fresh cranberries, 1 jar of premium orange marmalade. Cook on HIGH for 4 hours, then I stir in brown sugar at the end to sweeten it up (complete recipe below). Isn’t this sauce beautiful. I love how the cranberries retain their color. Have a great week! 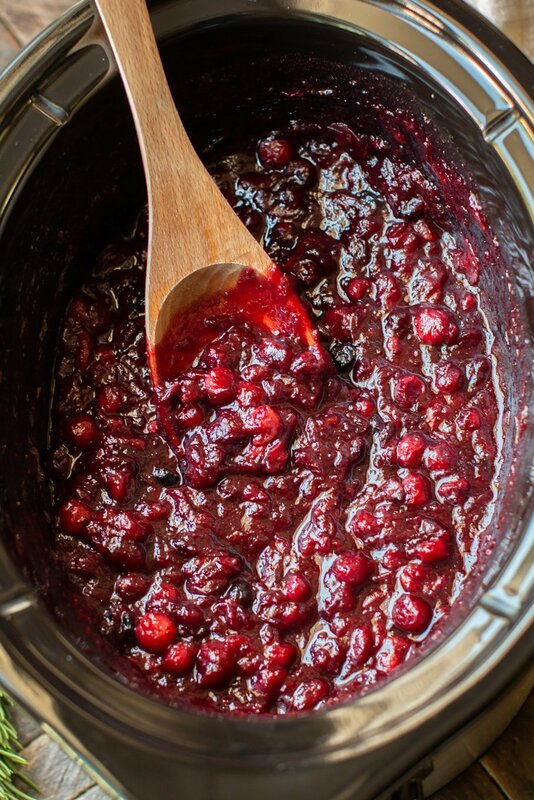 Add the cranberries and orange marmalade to the slow cooker, stir to combine. Cover and cook on HIGH for 4 hours. After the cooking time is up, stir and pop any un-popped cranberries with the back of a spoon. Add the sugar and stir. Tip: I used the cleaned out the jam jar to store the left over cranberry sauce. Nutritional Values are approximate. If you require a special diet, please use your own calculations. Values below are for 1/20 of the recipe. 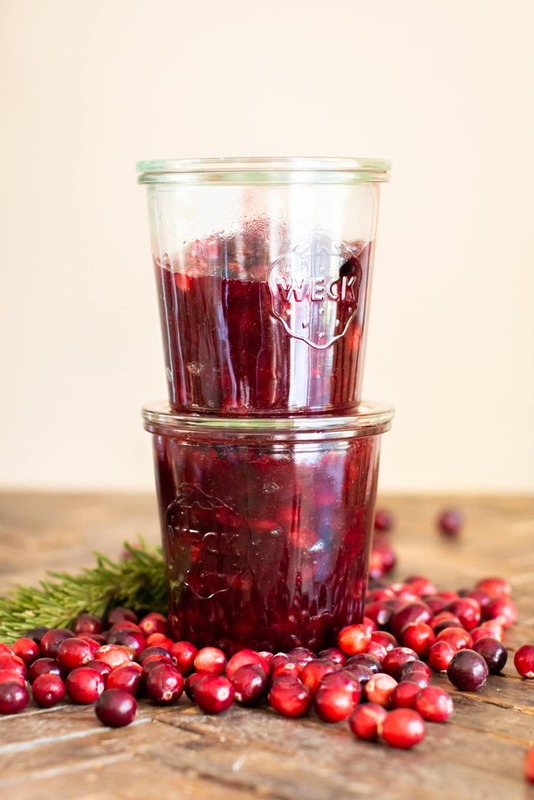 I never liked cranberries until I tried making homemade cranberry sauce and now i love the stuff! 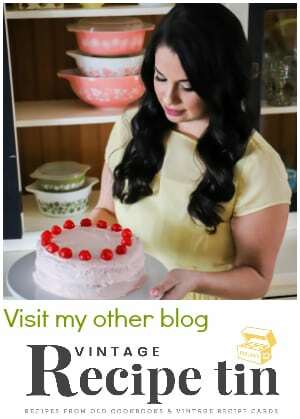 I will have to try this recipe over the holiday as we can all use a little extra time away from the stove! this recipe is awesome !!!! 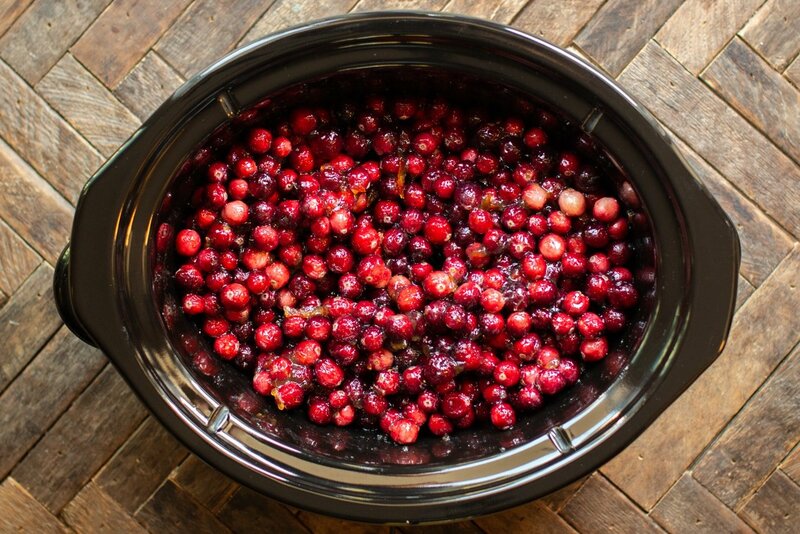 I think if people really knew how easy making your own cranberry sauce is, that you would find more people doing it! I made my own this year for the first time and was amazed at how easy it was to do. 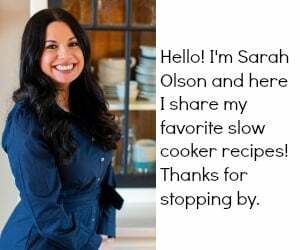 Love the slow cooker method! It doesn’t get any easier. Love this! Ok, we usually just open a can, but this looks so much better. I think it is time for a change! Such a great recipe! I love the addition of orange marmalade! This is going on my “must make” list! 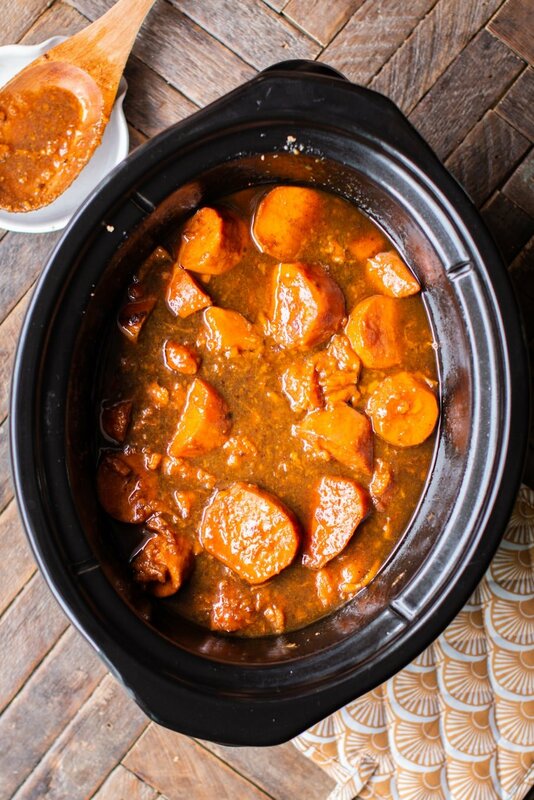 Love the combination with the orange marmalade AND that its made in the slow cooker! I bet that marmalade really adds a nice touch of orange. 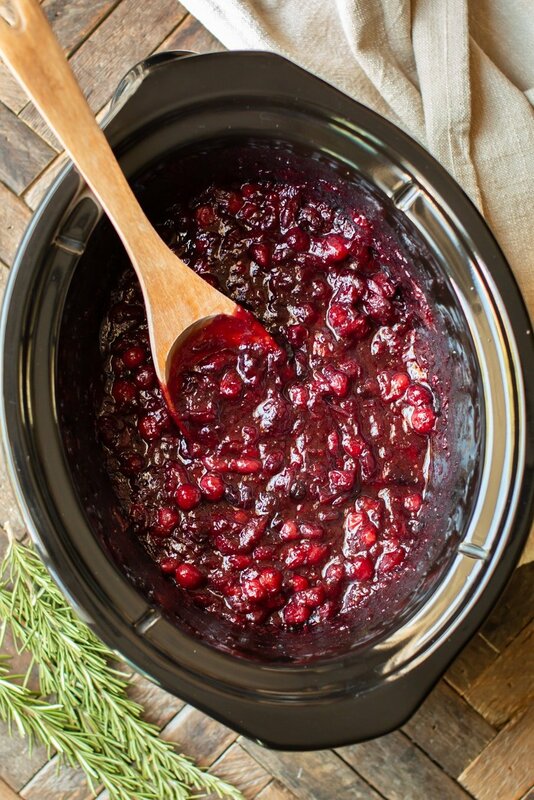 Homemade cranberry sauce is a must. I have never been able to go back to the canned stuff since I started making it homemade. What a great way to have homemade without all the stirring :). Great tip for storing in the empty marmalade jar!! 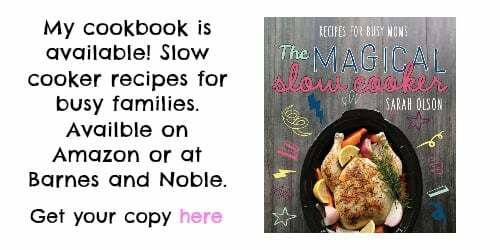 Great idea to make this in a slow cooker. It looks delicious. How long does it keep in refrig? I have successfully frozen the sauce for up to 6 months. Lasts a couple of weeks in the fridge, if lasts that long. Great to make a turkey sandwich taste better! This was a 4 quart. Do you think this could be made in an Instant Pot pressure cooker? Yes, I think it would do fine! I bought apricot preserves could this be used instead of orange marmalade? I think it would taste great! I have not tried! I think 6-7 would be fine. Do you serve this warm or do you chill it and serve cold?